Waves: Manny Marroquin DistortionManny Marroquin on the MM Distortion: “One of the things I also love is distortion. Whether or not it’s audible, sometimes I just want to feel it. By adding just a touch of it, it will help get me that. And I’m not ju.. Waves: Manny Marroquin EQManny Marroquin on the MM EQ: “When I sit down to do a mix, and I’m looking to do some creative equalization, as opposed to doing some ‘clean up,’ I always seem to end up reaching for the same frequencies. That’s when I go fo.. Waves: Manny Marroquin ReverbManny Marroquin on the MM Reverb: “For my Reverb plugin, we modeled the very best reverbs in my room, 18 of my favorites: Six different reverbs, with three different room sizes for each. We also included some EQ and compr.. Waves: Manny Marroquin Signature SeriesToday’s biggest stars trust their mixes to Manny Marroquin.Rihanna • Bruno Mars • Alicia Keys • John Legend • Cee Lo • Kanye West • The Rolling Stones • Chris Brown • Justin Bieber • Pitbull • Fun • Lana Del Rey.. Waves: Manny Marroquin Tone ShaperManny Marroquin on the MM Tone Shaper: “Parallel compression plays a huge part in my mixing technique. It adds richness and really brings out the full character of almost any sound and helps different elements stand .. Waves: Manny Marroquin Triple DManny Marroquin on the MM Triple D: “Getting rid of “boxy” sound, harshness and sibilance can take a lot of work – if you want to do it right, which means not EQing things out and carving certain frequency ranges comple.. Waves: Maserati ACGTony Maserati on the ACG Acoustic Guitar Designer: “The ACG is a comprehensive tool to help gain ultimate control and energy boost from a variety of acoustic guitar types. The ‘ACG 1’ setting allows you to maximize level and sculpt.. Waves: Maserati B72Tony Maserati on the B72 Bass Phattener: “The B72 actually has two distinct starting places. I’ve worked on a large variety of music for my artists, and there’s never just one sound or one preset. Try the ‘DI’ setting on your elect.. Waves: Maserati DRMTony Maserati on the DRM Drum Slammer: “The DRM was designed to help the excitement of percussive transients get heard through mixes which are thick with instrumentation and vocals. Whether on programmed or live drums, DRM is a gre.. Waves: Maserati GRPTony Maserati on the GRP Group Processor: “The Maserati GRP plugin is meant to help that final blend jump out a bit. It’s got a nice bit of equalization involved but no effects, no shredders, none of that kind of thing. In fact, th.. Waves: Maserati GTiTony Maserati on the GTi Guitar Toner: “The GTi was created with all the different guitar players I’ve admired in mind. I tried to find settings that would be a starting place for getting their sound, from the ‘Clean’ in-your-face .. Waves: Maserati HMXTony Maserati on the HMX Harmonics Generator: “In ‘Modal’ mode, the HMX will make your piano wide, with just the right amount of chorus effect, to give it life on a vocal demo, or raise your Wurlitzer’s presence, for some ethereal .. Waves: Maserati VX1Tony Maserati on the VX1 Vocal Enhancer: “The VX1 is a compact package for full vocal control, whether you need to squeeze the most emotion out subtle performance or engulf it in a room with a full band production. This plugin has .. Waves: Masters BundleYour tracking is complete and your mixes are good to go. Now let Masters give your recording that competitive edge. With linear phase filters for breathtaking transparency and Waves IDR™ Increased Digital Resolution, you’re guara.. Waves: MaxxBassWhen you need to seriously pump up your lows, choose MaxxBass®, the bass enhancement technology used on more hit records and major motion pictures than any other. MaxxBass® uses psycho-acoustics to calculate precise harmonics that are .. Waves: MaxxVolumeThe very first plugin of its kind, MaxxVolume performs all essential dynamics processes in one convenient tool. Combining technologies from Waves’ acclaimed L2 Ultramaximizer™, C1 Parametric Compander, Renaissance Vox, and Renaissanc.. Waves: Mercury BundleWith over 140 stellar plugins and more than 400 components, Mercury features more Waves in one package than ever before!From equalizers, reverbs, compressors and limiters to noise reduction, surround processors, modeled analog co.. Waves: MetaFilterDesigned around a multimode filter with extensive modulation options and powered by Waves’ Virtual Voltage technology, Waves MetaFilter has everything you need in a sound-shaping filter plugin. The versatile MetaFilter creative effec.. Waves: MetaFlangerThere’s never been anything quite like the sound of great vintage tape flanging and phaser emulation - until now. From gentle choruses and dual-delay flanging sounds to sharp phasing and extreme jet sweeps, let MetaFlanger take you .. Waves: MondoModMondoMod utilizes an exclusive combination of linked AM, FM and Rotation modulators to create unique sonic textures ranging from tranquil to turbulent.Amazing chorus effects for everything from guitars to vocalsAM (tremolo), FM (vibrat.. Waves: Morgan Page EMP ToolboxWhether he's remixing for superstars or putting out his own GRAMMY®-nominated singles, few artists are as adept as Morgan Page when straddling the line between electronic dance beats and pop sensibilities. From chart-top.. Waves: MorphoderTaking the classic sound of the original Vocoder to new heights, Morphoder lets you combine two distinct audio signals to create never-before-heard sonic combinations with unmatched clarity and definition.Takes the vocoder to a whole .. Waves: Musicians 1 BundleWhat makes a hit sound so good? If it’s on the Billboard charts, chances are it was tracked, mixed, and mastered using Waves. Musicians 1 is an outstanding collection containing several of our most coveted processors. Look at.. 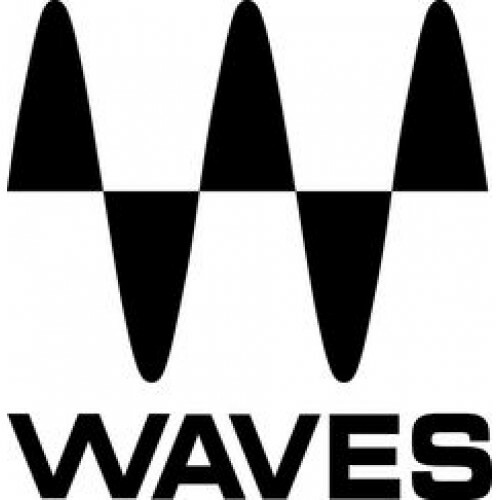 Waves: Musicians 2 BundleWhen the world’s top producers, engineers, sound designers, and recording artists need perfect sound, they turn to Waves for all their mixing, and mastering needs. Now, you can too—with Musicians 2. Including our popular Rena.. Waves: MV2With high and low level compression controlled by a streamlined interface, the MV2 is the simplest, most flexible way to control your sound. With intuitive dual faders for quick dynamic optimization, it’s never been easier to maximize your .. Waves: NLS Non-Linear SummerWaves, together with three of today's top producer / engineers, is proud to present the NLS Non-Linear Summer: Three legendary consoles – in one powerful plugin.The "magical" solid state console belonging to Mark ´Spike´ S.. Waves: NS1 Noise SuppressorThe most intuitive professional noise suppression plugin ever created, Waves NS1 Noise Suppressor intelligently differentiates between dialog and unwanted noise. Perfect for post production, audio forensics and musical appl.. Waves: Nx – Virtual Mix Room over HeadphonesWaves Nx is a virtual monitoring plugin that simulates the ideal acoustics of a high-end mix room – inside your headphones.Powered by Waves’ groundbreaking Nx technology, Waves Nx lets you hear, on headphon.. Waves: OneKnob BrighterAn intelligent treble booster that adds brightness from the mid-high range on up, Brighter is perfect for brightening up a track or make it cut through the mix.Easy-to-use intelligent treble booster pluginAdds brightness from t.. Waves: OneKnob DriverInspired by famous guitar overdrive pedals, Driver is capable of everything from light overdrive to full-on distortion. But it’s not just for guitars; it sounds great as an effect for vocals, piano, synths, drums, bass and more.E.. Waves: OneKnob FilterFrom the mixing room to the DJ booth, Filter is a powerful sweepable filter with switchable Resonance modes, perfect for full mixes, loops, analog synths and more.Easy-to-use filter plugin for electronic musicSweepable filter wit.. Waves: OneKnob LouderUsing a combination of peak limiting and low-level compression with automatic makeup, Louder effectively makes tracks louder, increasing RMS by up to 24 dB.Easy-to-use dynamics pluginMake tracks louder, up to 24 dBPeak limiting a.. Waves: OneKnob PhatterPhatter is a bass booster that provides a quick way to add bottom, weight and body to bass, keys, kick drums and vocals alike, to thicken them in the mix.Easy-to-use bass enhancement pluginAdd bottom, weight and bodyPerfect for .. Waves: OneKnob PressureFrom light parallel-style compression to heavy squashing, OneKnob Pressure is a versatile dynamics processor, ideal for percussive sources like loops and drum busses.Easy-to-use dynamics processorFrom parallel-style compression.. Waves: OneKnob PumperDesigned for achieving an instant ducking effect, OneKnob Pumper simulates sidechain compression, saving you the need to route the kick track to the sidechain input of a compressor. This extremely handy and easy-to-use plugin is .. Waves: OneKnob SeriesMixing is made easy with OneKnob Series, featuring the best of Waves' award-winning processing technology in a set of eight audio plugins, each of which is controlled by a single knob.Eight intuitive plugins each controlled by a .. Waves: OneKnob WetterFrom short, bright ambiances that are felt more than heard, to longer, darker spaces, Wetter adds instant depth to any track, creating the perfect atmosphere.Easy-to-use reverb pluginAdd depth to any trackFrom short ambiances to .. Waves: PAZ AnalyzerAmazingly accurate and a breeze to use, the PAZ Analyzer generates a comprehensive realtime visual representation of your audio’s stereo positioning, frequency spread, and peak/RMS levels.Position, Frequency and Meter componentsRea.. Waves: Platinum BundlePlatinum is an extraordinary collection of signal processing tools. From dynamics, equalization and reverb to pitch correction, spatial imaging, harmonic enhancement and beyond, Platinum is ideal for sound design, mixing, master.. Waves: Power PackWith everything from reverb, delay, and equalization to compression, limiting, and level maximization, Power Pack is a perfect introduction to the Waves experience. Whether you are just getting started or you are expanding your produ.. Waves: Prelude BundleThe Prelude bundle features 14 essential SoundGrid-compatible plugins, including L1 Ultramaximizer, H-Delay, H-Comp, Renaissance Channel, Renaissance Vox, Renaissance Bass, Vitamin Sonic Enhancer and more.14 essential SoundGrid®-.. Waves: Pro Show BundleThe Pro Show bundle includes over 100 SoundGrid-compatible plugins, including the Essentials bundle, the SSL 4000 Collection, CLA Classic Compressors, JJP Analog Legends, the API Collection and more.Over 100 plugins for SoundGri.. Waves: PS22 Stereo MakerIdeal for revitalizing old recordings as well as sound effects, guitar leads, and more, the PS22 is unsurpassed for mono-to-stereo emulation, enhancing individual tracks, and rebalancing the spatial imaging of stereo mixes.Ide.. Waves: PuigChild CompressorThroughout the vinyl era, the original Fairchild 660 and 670 compressors were ubiquitous: From the recording studio to the record lathe, the Fairchild was renowned for its advanced compression techniques and incomparable so.. Waves: PuigTec EQsThe Pultec EQP-1A is renowned for its unique ability to boost and cut the same frequencies simultaneously, thereby creating a resonant shelf. The PuigTec EQP-1A is a remarkable replication of Jack Joseph Puig’s original hand-crafted.. Waves: Q-CloneThere’s nothing like the warmth and character of vintage hardware equalizers. With Q-Clone, you can dig into its massive library of classic EQs, or use the Q-Capture component to model your own hardware favorites. Plus, you can use your.. Waves: Q10 EqualizerThe world’s very first paragraphic EQ, the Q10 delivers precision equalization for mixing and mastering alike. With power and features that far surpass the capabilities of analog equalizers, the Q10 lets you create special effects.. Waves: REDDLondon's Abbey Road Studios were at the epicenter of a seismic shift that rocked the world of music during the 1960s, and changed the course of popular culture forever. The Beatles, The Hollies, Pink Floyd and countless other luminaries ma.. Waves: Reel ADTWaves/Abbey Road Reel ADT is the first plugin to successfully emulate Abbey Road Studios’ pioneering process of Artificial Double Tracking. The effect that would become an integral part of Abbey Road’s signature sound was initially cre.. Waves: Renaissance AxxEngineered especially for guitar, Renaissance Axx is the ideal compressor for musicians and engineers who need to dial in dynamic levels quickly. With its three efficient controls, Renaissance Axx features a fixed ratio curve, a..